Most reporters in the DC Circle of Jerks lean left. They do. Look at their marriages, their career paths, etc. They lean left. But I do think a lot of them recognize it and try to balance it with alternative data. That is all coming to an end now rather rapidly. That end is coming because of polling. Look, if you will, at the media treatment of Allison Grimes and Wendy Davis. In her book, Lena Dunham described what she did to her sister. “Basically, anything a sexual predator might do to woo a small suburban girl I was trying,” she wrote. The media has done much the same with female Democratic candidates. Wendy Davis is a creature of the media. Maria Shriver gave her a metaphorical feel up on national television droning on and on about Davis’s pink shoes, partly fictionalized background, etc., etc. Vanity Fair described her “Barbie like” looks. Allison Grimes also got a lot of media attention — inordinately more than any Republican woman and inordinately more than she deserved. But the media could largely justify their natural biases toward both women because polling suggested their races might be closer than they turned out to be. The press could comfort themselves in Battleground Texas’s statements because of Democrat pollsters telling them it was so. Same in Kentucky. 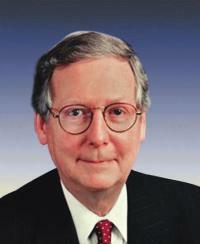 Heck, because of bad polling in Kentucky, Sen. Mitch McConnell (R-KY)Heritage ActionScorecard Sen. Mitch McConnell Senate Republican Average See Full Scorecard68% felt compelled to divert money into his race at the end. Consider also Georgia and Kansas. In Georgia, Democrats pushed a narrative for months that things were close. They thought they were going to be in the wilderness for twenty years, but they were bouncing back quickly. They relied on scores of polls to justify it. The media bought into it. Objective pollsters who had been burned in 2012 over-corrected in 2014. It gave the media an avenue to claim Georgia was going purple faster than expected. But it did not happen. In fact, in state wide races without heavy outside influence, the GOP averaged 58%. Nathan Deal and David Perdue both won without runoffs despite media polls showing there would be runoffs. In Kansas, Sam Brownback was supposed to be defeated and the media already its narrative. Brownback had cut taxes so much that voters wanted to fire him. 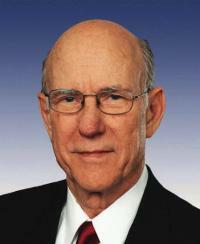 Sen. Pat Roberts (R-KS)Heritage ActionScorecard Sen. Pat Roberts Senate Republican Average See Full Scorecard93% too was going down to defeat. Polling showed it all. Not only did both men win re-election, but the Democrats lost seats in the state legislature. In all of these cases, reality deviated substantially from polling. Pollsters who got 2012 right, got 2014 terribly wrong. The media went along with it buying into Democrat spin and hype. Already closer to the Democrats ideologically, what they read in the polls was just confirmation bias. Polling confirmed for them what they wanted and expected to happen — the Obama campaign machine’s ground game continuing activity despite all the evidence it was not. For the last number of years, the press has gotten more and more openly partisan. More partisan hacks from left-wing outlets have gone into mainstream publications. But they’ve been forced to check their biases against polling. With polling seemingly increasingly impossible to get right, the last checks on media objectivity are dissolving. The Media leans left. When it talks about abortion, it always pits a pro-life man against a pro-kid killing woman. When it develops its talking points, it always gives more credibility to Democrats and the left. Since 1968, demographic has been going to destroy the GOP. But there have always been some baseline tests to keep the media’s biases in check. Polling has remained one of the last reliable checks. The media could talk all they wanted, but the polling averages were their guide. With polling in America now clearly broken, that all goes away taking with it the last restraints on the media to get it right, instead of whoring to the left. We are now going to go quickly back to where the press in America began — no more national sources, just partisan presses owned by political machines. The post The Press’s Confirmation Bias and the End of Objectivity appeared first on RedState.